Starbank has provided high quality laminate panels and bonded boards for many different industries since 1976. We are now recognised as one of the UK’s leading companies in this field. Powerful supply chain partnerships and our own logistics means that we are able to offer an unrivalled service. We can supply you with UK specified High Pressure Laminates (including Formica, Polyrey, Abet, Egger to name but a few) bonded to a variety of substrates like MDF, Plywood Chipboards and Fire Rated Door Blanks using various sheet sizes. The bonding process is undertaken and controlled using the very latest PVA adhesive technology, extensive experience and multiple press facilities. Our unique expertise in this area ensures that we are able to supply virtually any combination of laminate face and core material specified (subject to availability) ensuring an efficient and above all competitive service. Good bonding practice is observed always ensuring all laminate and core materials are conditioned for at least 48 hours before bonding, to facilitate the highest possible bond quality and strength. We also have the ability to hand spray more delicate core material together with your chosen laminate. PVC can also be accommodated if necessary to create your perfect bonded boards. 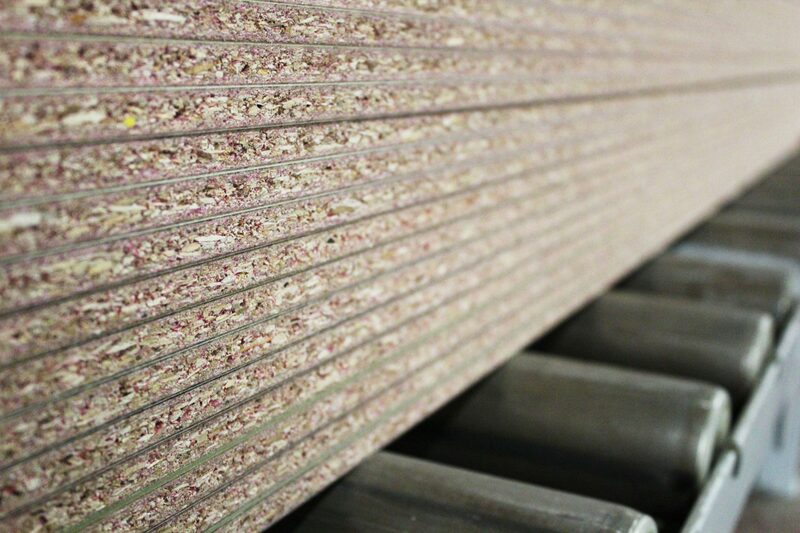 Our buying power within the industry will ensure the most competitive prices for all UK specified laminates. Our “Joos” panel brushing system ensures that all boards are thoroughly cleaned of all dust and other particles before it enters the glue spreader. Our glue line meets D3 of EN204 and is suitable for standard, MR or flame retardant core material. Additional glue line to D4 high performance waterproof applications are available on request. With our extensive supply chain; built up over the 40 years we have been in business, we are able to work with all the leading as well as some of the less known decorative surface manufacturers. Below are some of the manufacturers of decorative laminates that we are able to work with, so if you are unsure of what style you are looking for try clicking the links below to see each suppliers extensive range of decors. Once you know the one you are after then you give us a call, tell our sales people what you are after and we will get the ball rolling on proving you your panels for your latest interior fit out project. *For non standard sizes please contact us. Details upon application and subject to end use.